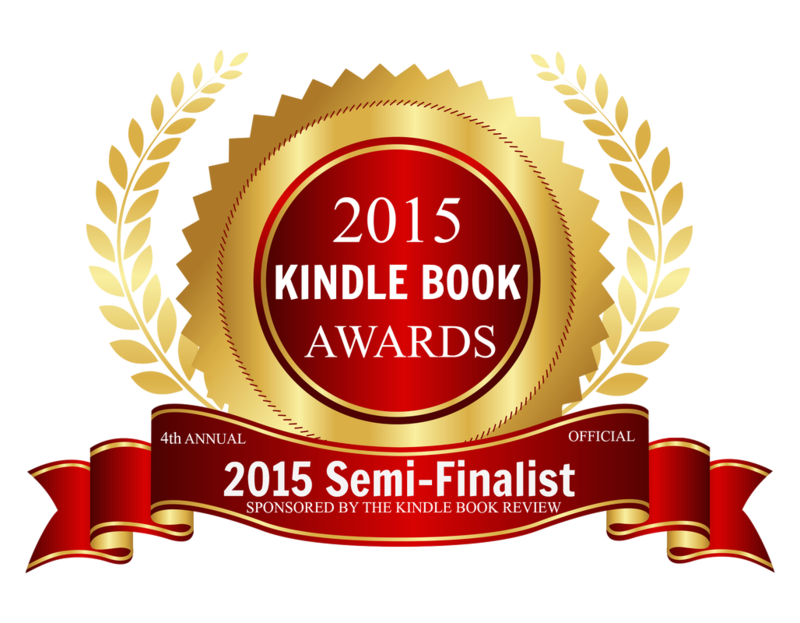 How I Became a Teenage Survivalist has been chosen as a semi-finalist in the 2015 Kindle Book Awards! 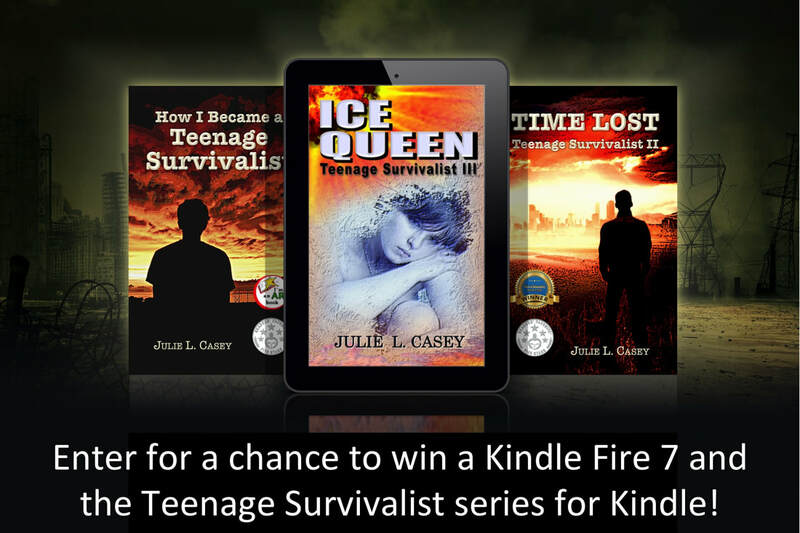 Finalists will be chosen September 1st and the winners on October 1st. Congratulations to all the semi-finalists and good luck in the finals. How I Became a Teenage Survivalist has a new publisher, Amazing Things Press, and a new cover! This is a comprehensive 3-4 week unit with the essential question: How has technology changed our lives. 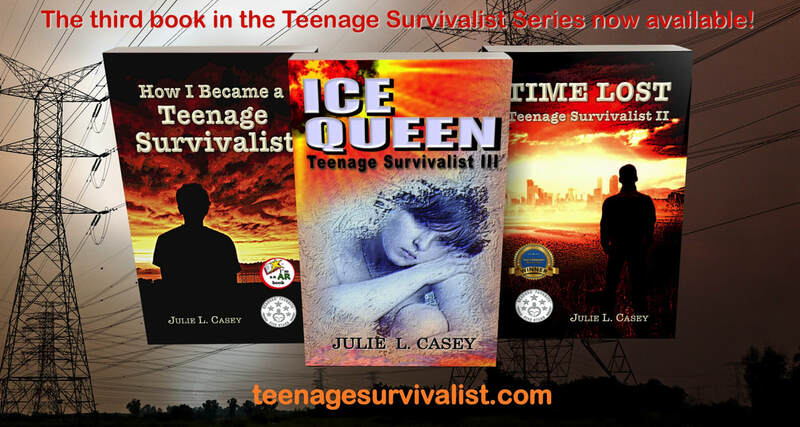 It includes the novel unit for the book: How I Became a Teenage Survivalist. There are quizzes, activities, worksheets, a final test for the unit as well as a plan and scoring guide for a final argumentative essay. 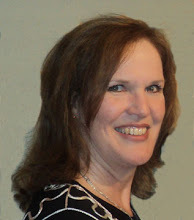 It is completely aligned to the Common Core State Standards. Click on the button below to buy the curriculum. Feathered Quill says: A truly amazing story showing the perseverance of the human spirit! Living in a world without electricity was something Ben had never once thought about especially since his parent’s divorce occupied his mind at the time. However, when PF (Power Failure) Day comes, the power grids are completely wiped out by an electromagnetic surge from the sun forcing everyone to realize just what it is like to live without electricity. Chaos erupts everywhere as Ben and his father try desperately to find ways to survive, but the limited supply of water and food in the city is diminishing quickly, causing people to take desperate measures. As winter approaches, Ben’s father unfortunately becomes ill with the flu and Ben decides he has to go out and find food alone. Unfortunately, while he is gone, a fire erupts in their apartment building taking his father away in a sea of ashes. 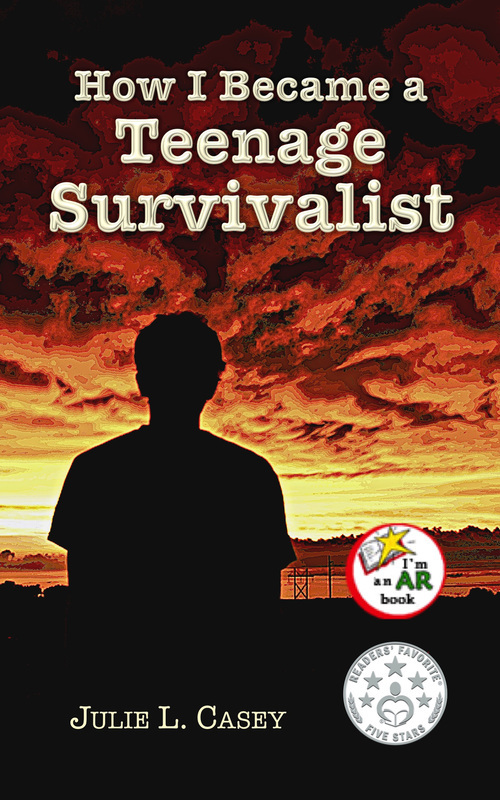 eBook Version of the Sequel to How I Became a Teenage Survivalist Now Available! 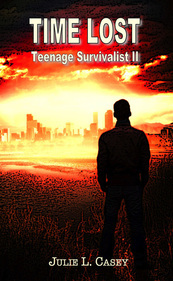 Time Lost: Teenage Survivalist II now available on Amazon! When the sun got ornery in 1859, American telegraph operators saw sparks fly. A huge solar flare belched a cloud of charged particles into Earth’s path. But other than frying telegraph lines, the electromagnetic collision caused little stir in the world. Nobody back then had yet switched on a decent light bulb, much less charged an iPhone. Yet the sun hasn’t changed its ways, and that worries University of Kansas physicist Adrian Melott, among others. 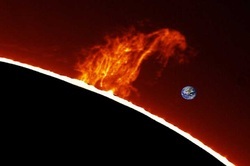 If the remnants of a similar solar flare struck the planet today?